What are the Legal Risks in Export and Import Business? Now let us discuss about risks arising out of foreign laws under International business. What are the legal risks involved in import and export business? How to resolve such legal risks in international business? Every country has its own commercial law. So, different laws prevail both in exporting and importing countries. Legal proceedings are complex as well as expensive. In every relationship, however cordial and long-standing maybe, differences are likely to arise. Legal risks can be avoided to a great extent by incorporating the provision for appointment of an arbitrator, in case of dispute about contractual terms. I have written two detailed articles about disputes and solutions under international business..You may kindly read those articles also. Transportation of cargo has undergone radical improvements over a period. Most of the goods are transported by sea . transit risks are a common hazard for those engaged in export or import business. The list of dreary and hazardous risks in transit is long viz. Storms, collisions, theft, leakage, explosion, spoilage, fire, and high sea robbery. Every exporter should have working knowledge of marine insurance so the he knows whether he is getting the required risk protection at the minimum cost. It is always possible to transfer the financial losses resulting from perils of sea and perils in transit to professional risk bearers known as underwriters. Principles of marine insurance are also equally applicable to insurance of air cargo. I have explained about marine insurance a couple articles in this website. You may kindly go through to have detailed information about the subject. Credit risk is another important factor in any business especially in international business. Compared to domestic market, credit risk is very high in export import business. Risks are inherent in credit transactions, more so in international business. Credit risk is not the same whether one sells the goods in domestic market or in foreign market. Success in international business depends, largely, on the ability of the exporters to give credit to importers on the most competitive and favorable terms. Export business has become highly risky as selling on credit has become very common. Importers are sought after so it is but natural they dictate terms as there are many exporters competing for the cake of international trade. Insolvency rate is on the increase. Balance of payment difficulties has severely affected the capacity of many countries to pay the import price. However, offering credit has become unavoidable to the exporters to face competition. A smart exporter should have two qualities in handling credit risks, sufficient funds to offer credit to his overseas buyer and firm determination to face such credit risks. Once goods are sold on credit, risks arising in realizing the sale proceeds are referred as credit risks. Risk may arise due to inability of the foreign buyers to pay on the due date. Alternatively, even if the overseas buyer makes the payment, situations may change in the buyer’s country that the funds of buyer do not reach the exporter. An outbreak of war, civil war, coup or an insurrection may block or delay the payment for goods exported. Whatever the reason may be, if funds are not received, sufferer is finally, exporter. Credit risk has assumed an alarming proportion on account of large volumes in international business and sweeping changes in political and economic conditions, globally. In such a high risky situation, credit risk insurance is of immense help to the exporters as well as banks that finance the exporters. 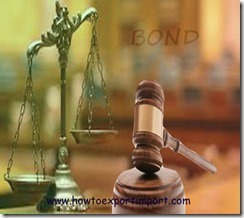 How to solve credit risks in international business of exports and imports? There are about 50 international organizations to cover credit risks who have their offices in different parts of the world. These organizations acts as an insurance company and covers risks against credit extended by exporter to overseas buyer. For example in India, Export Credit Guarantee Corporation of India (ECGC) is one of the reputed organizations which is a Government of India enterprise. I have written a couple of articles about ECGC and its functions in simple language to make you easily understand in this website. You can read those articles also to have a good knowledge about ECGC and its functions to solve credit risks to exporters. In this article, we have discussed about the impact of foreign law risks in import export trade of international business. We have also discussed about cargo risks and credit risks in international business of import and export. I hope you have also enjoyed reading about, how to resolve credit risks in international trade. If you would like to express your thoughts about cargo risks, credit risks and other risks involved in export business, you may write below. Have you satisfied with this article about cargo risks, credit risks and risks under international laws involved in import export business? Comment below your thoughts and experience in resolving risks in export import business. How to start Export Business?,How to get Export Orders?,What are the risks and solutions in Export Business?,How to overcome negative thinking in Exports Business?,How to send samples? How to settle dispute in Exports and Imports?,Central Excise Procedures under Exports in India,How to get RCMC?,What are the legal documents in Exports?,Why does Documentation require in Exports and Imports?,Difference between Demurrage and Detention in import,Difference between Proforma Invoice and Commercial Invoice,How to protect Buyer and Seller in Triangular Exports and Imports? Karan Bharodiya: On 25 June 2014 I Appreciate your information relate to import export begginer but there may be applicable charge to traers by ecgc..so there may be too expensive charge by ecgc. Viral Thacker: On 30 June 2014 Thank you sir for article . . keep writing up these articles and your experiences . . .
khanjan: On 15 July 2014 Hello sir, I have read your mostly article with very interest and I m impressed from u. I have complete my BE in mechanical engg., actually I m very interested in import export business, because of I want to do something diffrent, so I want to start my business with my friend. So on which product we can start our business... Please give us proper guidence. Thank u sir. Azeem Hussain: On 19 July 2014 "Foreign Law article" i like this but not more understand because of i am new in import export business how i understand more from beginning of this field.